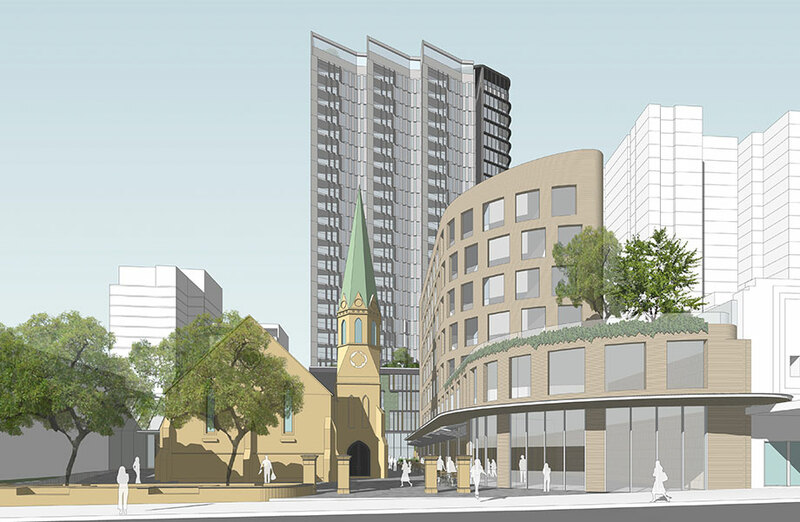 The Uniting Church at Burwood has lodged plans to redevelop its 5,028sq m site on Burwood Road in Sydney's inner west. The proposal, dubbed The Spire at Burwood, aligns with the church's focus for increased emergency services such as affordable housing, employment, emergency relief, and childcare. Early concepts outline plans for three new buildings, including a 25-storey residential tower, 8-storey student accommodation and childcare and medical centre at a cost of $108 million. A total of 21,174sq m of floor area will be developed to provide affordable housing and community services with 2,465sq m dedicated to commercial and retail opportunities to assist the church program, social engagement and outreach as well as maintenance. “It is really exciting and I am so proud that as a local church, we are staying here and providing greater support to our community,” Burwood Uniting Church reverend Stephen Matthews said. The site is an amalgamation of nine blocks that have been pieced together by the church and local community over the past 50 years. 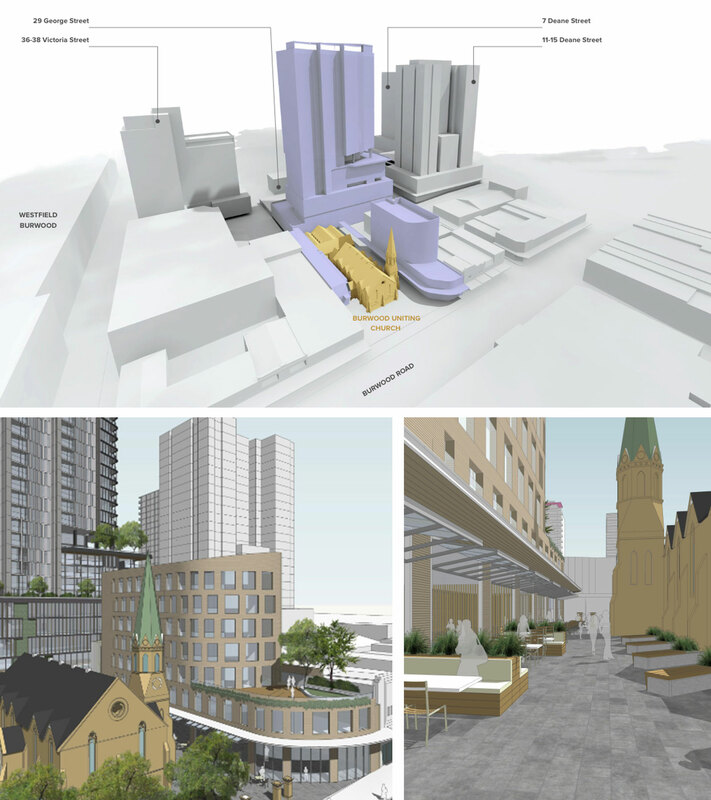 The urban renewal project will now strive to create an “intimate laneway experience” off the high street while rejuvenating and complimenting the heritage architecture. “We have worked with a professional design team, to design this Stage One Concept, and further the mission of the Uniting Church, who have been on this site for 150 years,” The Spire at Burwood project manager Ben Tiplady told The Urban Developer. The church, which currently provides a 40-place preschool, charging $10 per day, will now look to use the development as a platform to broaden its outreach with new facilities to assist the local community. “We believe this project captures the Burwood Council motto: Heritage, Progress, Pride: paying tribute to the heritage church building, progressing the mission of the Church and enhancing the area, this project will become a pride of our Burwood Community,” Tiplady said. The tallest of the three structures will be positioned toward the rear of the site in alignment with a cluster of recent towers and high-rise developments. “The project will be a transformative experience for the suburb of Burwood creating an intimate laneway experience just off the bustling high street,” Turner associate director Annraoi Morris said. Prior to the lodgement, an in-depth feasibility study was conducted by a steering committee.